E.M. 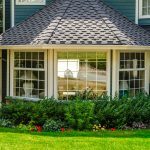 Snow Inc, is a leading replacement window contracting company that offers their services throughout much of Eastern Massachusetts. Our team of skilled craftsmen are here to make sure your home is kept looking beautiful, energy efficient, and so much more! We are partnered with leading window manufacturer, Harvey Building Products as to offer the highest quality installation backed with trusted and reliable materials. Since 1961 Harvey has been manufacturing replacement windows, doors, and many other building products in the United States. Harvey since then has expanded to over 13 showrooms and 36 warehouses operating on the east coast. Harvey is dedicated to serving excellence to each and every client. No competitor can match the quality of Harvey’s windows. With a great quality window, you must only choose a contractor with a professional touch like EM Snow. Harvey windows, unlike other windows, impact resistance, which can save you from any accidents. Installing these windows can give your home a peaceful feeling with its sound reduction quality. The Energy Star qualification was met and over exceeded when it came to building an energy efficient and environmentally friendly window. Purchasing a Harvey window can save you some extra cash on utilities. Innovation has been a big part of Harvey’s success, there are many material and style combinations you could choose from. For more information about E.M. Snow, Inc & our window services please feel free to explore our Harvey site! It is available on the right-hand sidebar and has some amazing tools. You may also reach out whenever you want. We can be contacted over the phone at 781-893-4546 or through our online contact form.